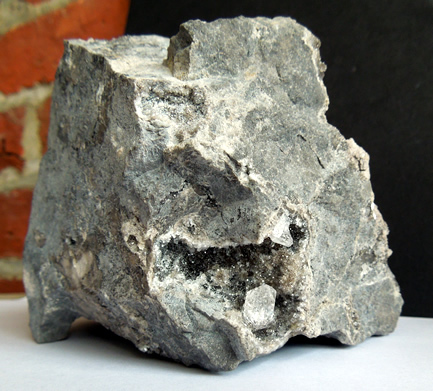 A heavy piece of dolomite rock matrix with 3 pockets or vugs of Herkimer Diamonds and one pocket of dolomite crystals. 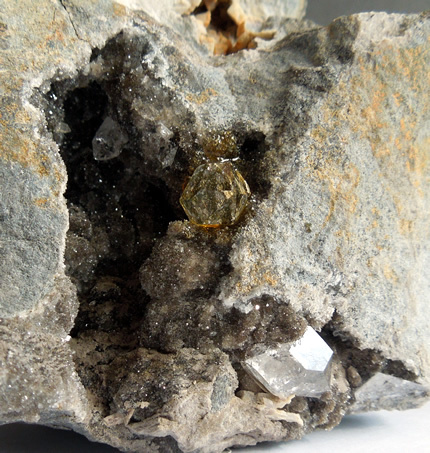 One side of the specimen has 2 of the Herkimer pockets, see image above. The smaller measures about 30x18 mm and holds a 14x11 mm single sharp tipped crystal as well as a broken one. 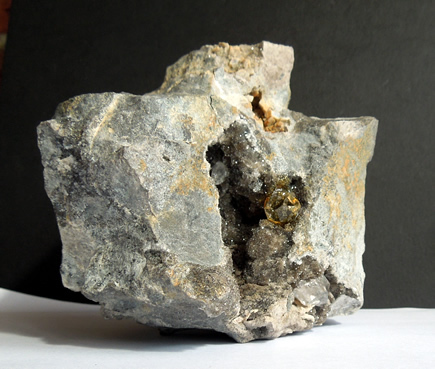 Next to this is a larger, deep vug, 58x24 mm coated with druse crystals. On the edge sets a clear 11x9 mm double terminated Herkimer. Iron oxide surrounds it, giving it a golden hue. Deeper in vug are seen 2 small sharp points. 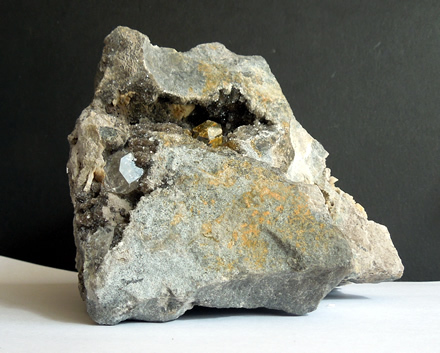 The pocket of dolomite, or dog's tooth crystals is found below this deep pocket. The other side of the dolomite has a 26x26 mm vug (see top image) that holds a clear sharp 11 mm crystal point as well as a broken crystal. This pocket is coated with druse as well. 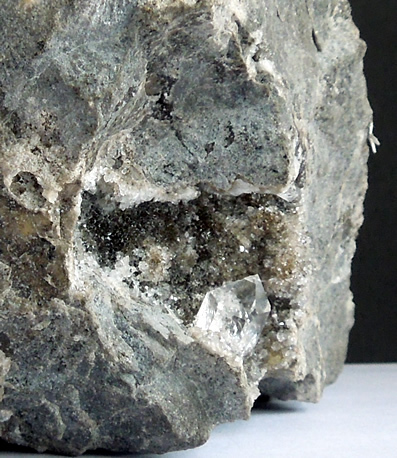 A nice specimen of Herkimer Diamonds in dolomite matrix. Because of its weight and size, extra shipping is required. Close up image of larger pocket, or vug. Close up image of small vug.